Recording here at age 28, Green’s heart gave out at the age of 43, in 1979. The selection Minor League is a classic Blue Note composition, with instant recognition of the Blue Note sound. “The head gives off that really hip, quartal harmony that really rose to prominence in the 60’s. “The strong brass presence also eliminates any lingering concern it might be just a guitar album. Joe Henderson! Green has a soul-jazz feeling on Solid, soft warm tone in unison with the brass, at times sounding more Hammond B3 than guitar, fluid linear melodic exploration of the compositions. He has an unusual pairing of horns – Joe Henderson’s gruff tenor with James Spaulding’s bright alto. Henderson has a hard, fractious tone, his athletic figures covering the entire register of the tenor, while Spaulding does a credible job just holding his own. Tyner contributes characteristically elegant sweeping forms, left hand chopping accents against the right hand’s fluid exploration of the upper keys. Elvin Jones more than hints at the power below, punishing the ride cymbal to mark time. 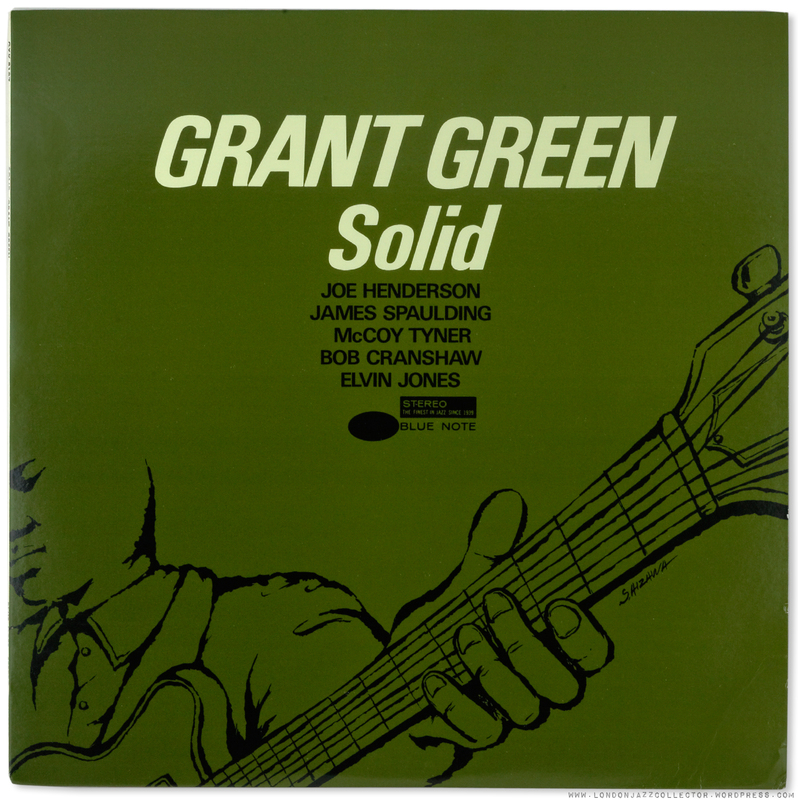 (Jones is a mixed blessing on Green albums. Here he is well controlled, but on Matador – Bedouin, he treats us to a long and out-of-place drum solo – the type which clears the auditorium and fills the bar). As always, the bass is the forgotten hero, Bob Cranshaw modestly holding everyone together. The mid ’60’s Blue Note line-ups generated a huge amount of sessions which never saw the light of day until Michael Cuscuna unearthed them for the LT and King issues. They are the first pressings of RVG recordings, though mastered by later house engineers and not Van Gelder. Instead of writing cheques to Ebayers for “original insanely-rare early Blue Notes”, it is well worthwhile exploring this rich seam of mid 60’s previously unissued sessions. There are many that merited release at the time but were held back due to avoid overloading the market. Collectors Corner: what’s the alternative? Despite the reputation and generally high quality of reissues by King, to my ear, the LT offers a more lively, punchy presentation. I engage with it more, the King feels slightly slow and disengaging. It’s a common phenomenon in head to head comparison: it isn’t really slower, but it feels slower, your brain is trying to tell you something. The LT is more readily available, fantastic value, but it doesn’t have a green cover. But a snooker cue ball? The LT series sound a lot better than I originally thought, uneven quality, some are better than others, though a lot of cable upgrades since those early days have helped everything sound better. I don’t have this, because two’s plenty, but they are generally quite satisfying listen. 2009 the LT series reissued in a familiar cover design, but brown? What were they thinking, solids, babies nappies? The name is Green. Grant Green. As in the colour “green“, got it? As always, Mosaic jump in. 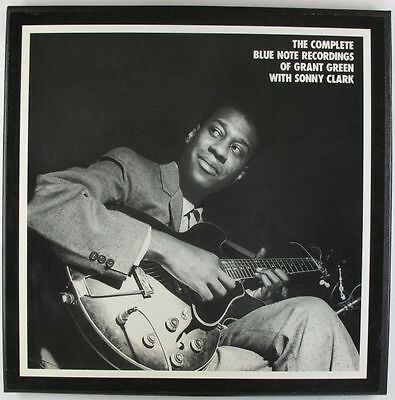 You can always grab the Mosiac Green/Clark boxset to get all the missing Grant Green/ Sonny Clark titles. 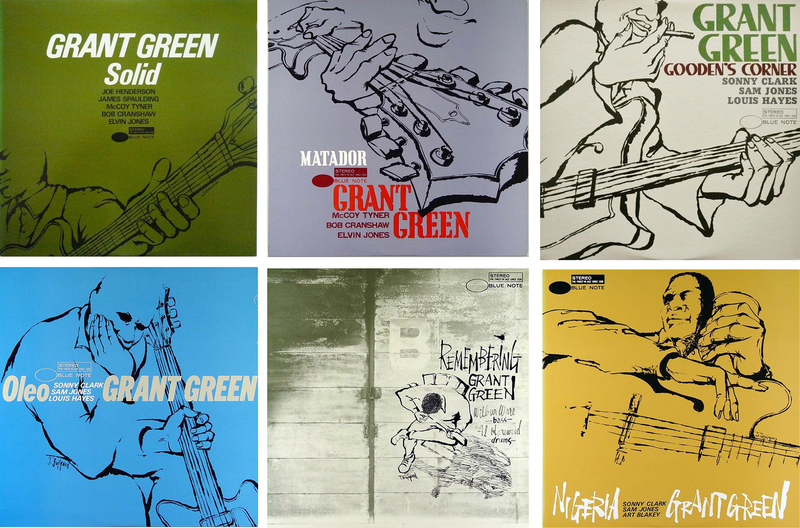 Our friends at Music Matters have a modern take on a couple of the Blue Note Grant Green’s including Solid and Matador on 2x45rpm. Great alt-covers, Green takes a mean Francis Wolff portrait. It’s a timely reminder of what people actually look like, instead of the tsunami of fake-smile selfies drowning us online today. LJC READER POLL – you know you want to! 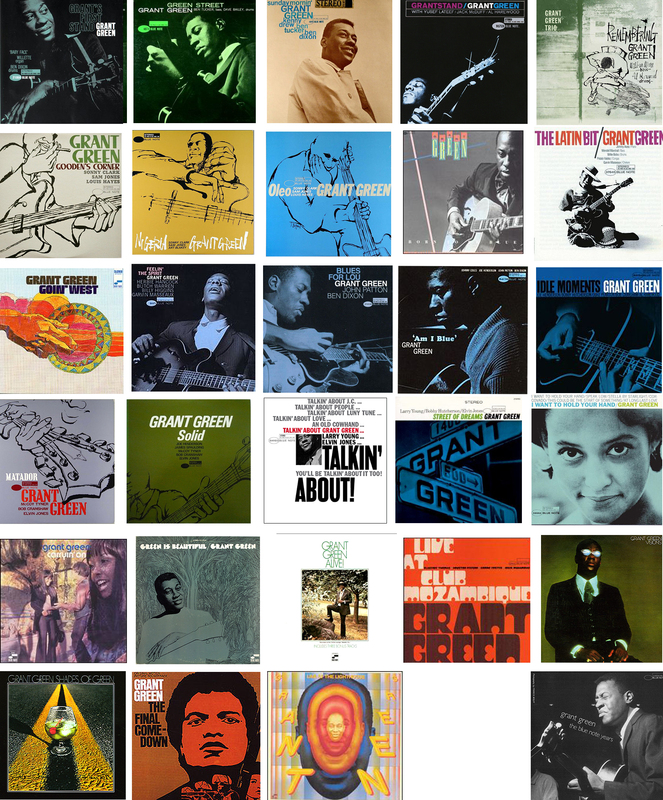 Your ten favourite Grant Green Blue Note albums from the selection of twenty five below. They are presented in approximate year of recording, to better understand the evolution of the artist. Because I’m generous to a fault, you can nominate up to ten albums, to give some of the less well known titles a chance. If you want to nominate fewer, that’s ok too. The only Executive Order I am issuing (this morning) is that you all absolutely must vote for Idle Moments (if you want to, of course, no pressure). Any voters for The Latin Bit, my office, now, no biscuits. Omitted from poll is Blues for Lou (CD only, I think). Votes must be cast within one week, check back to see how your favourites compare with others. You never know, you could be an outlier. Now if you would kindly step out of my vinyl time machine, fast forward to today, Athens, Greece, wonderful city, great people (they’ve had a few thousand years more practice than some) there is a remarkable authentic ’50’s /60’s vibe of The Blue Note Trio. I give an unsolicited recommendation to The Blue Note Trio, repertoire exclusively from Blue Note Records 1952-65, great concept! 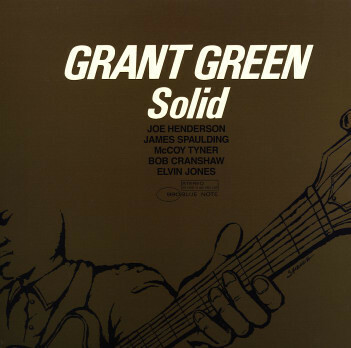 The sounds of Grant Green (Michael Papadopoulos) Jimmy Smith/Larry Young ( Leonardo Corradi) Grady Tate/ Donald Bailey (Sera Bellos), cooking today. Album covers projected on a screen. Great, 100 upticks! The only way it could be more authentic is the percussionist adding scratches, a few repeating clicks… The Blue Note Trio (strong VG) … all part of the vinyl experience… Seriously, great stuff, I really admire what they are doing. They are here, performing the same Grant Green “Solid” / Duke Pearson track, Minor League. Anything you want to add, floor is yours. 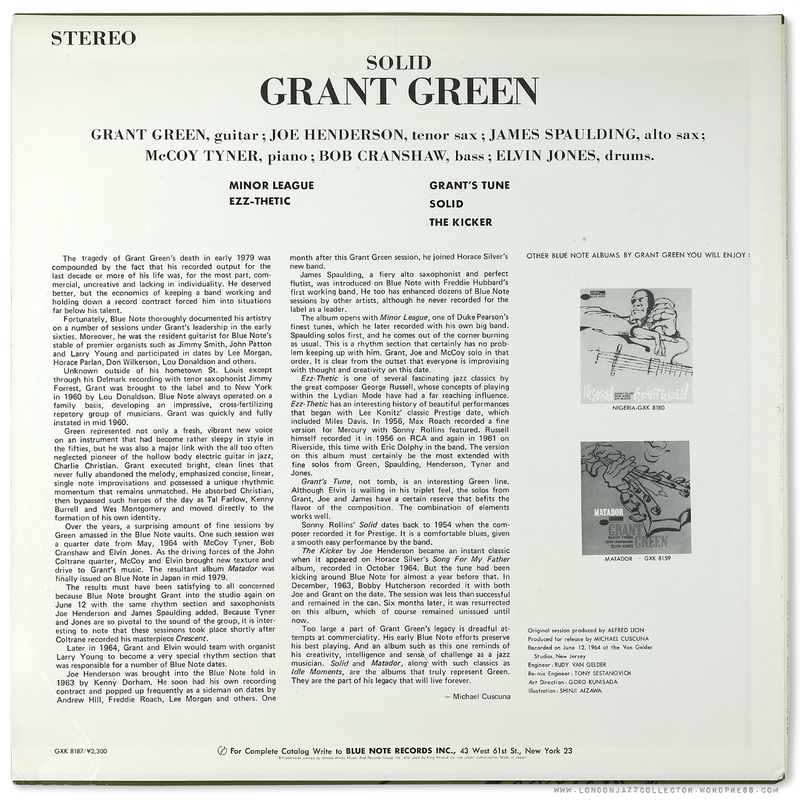 This entry was posted in Blue Note, EMI Capitol, Grant Green, King Records and tagged Blue Note, Grant Green, King Records, LJC reader poll, Michael Cuscuna, The Blue Note Trio, United Artists LT series by LondonJazzCollector. Bookmark the permalink. Thanks for the kind words about the MM covers of GGs ‘shelved’ works. Matador and Solid are both on 33 as well now. I thought Gooden’s Corner came out quite well. If you know Wolff’s photo of GG from that one you’ll know how I cropped out the nasty looking abscess on Grant’s hand. The jazz life was a hard life, no doubt, but GG gone much too soon. ‘Feelin The Spirit’ got my top vote in the poll. There’s a torrid exchange between GG and HH in ‘Moses…’ that never fails to get the neck hairs standing to attention. i never liked it when musicians dwelled on the accomplishments of others. 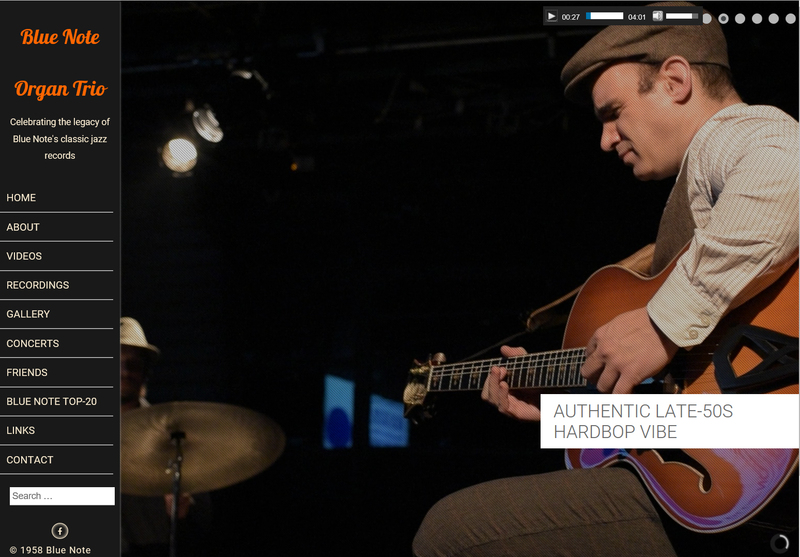 so the trio can emulate jimmy smith’s sound… ok, that’s nice. i like his records, but what do they offer as musicians besides mimicry? Thanks for this post. It encouraged me to retake a couple of cover photos which were of particularly poor quality, having been shot and added to me own blog in a hurry a couple of years ago. We are lucky to have such a large number of sessions featuring Grant Green as leader to listen to and enjoy and, like many replying here, I have copies of most of them. I’m with Lenny on this. I voted tactically, omitting Idle Moments form my list in an effort to prevent it running away with the lead. It didn’t work. What the negative comment on Leonard? You could carry his Jock Strap!! !He wrote great review!!!!! If we’re only polling Grant’s Blue Notes, the absence of First Session (released in 2001 I think?) is understandable, but Grant’s First Stand? That has to be one of my favorites, notable not only for its excellent playing but one of “Baby Face” Willette’s few recoded appearances. It’s in the photo montage, but not the poll—although it’s easy to make a mistake, as he did record a quite a few, didn’t he? Well, we can dream. At least MM gave the covers a go, A for effort. Grant’s First Stand was initially missing from the poll, as was I want To Hold Your Hand, a transcription error on my part, both since made good. Eek! Monster poll. It’ll take me days to choose my favourites. I’ve been listening to Sunday Morning recently which is a sweet blend of Green’s guitar and Kenny Drew’s piano. Also, I have five out of six of those King records, complete with obi’s. This suggests in something of a Green fanatic, doesn’t it? I limited myself to Grant’s Blue Note titles, just to save my fingers, but yes, Iron City is Cobblestone, Don Schlitten’s label as I recall, I have the original. Future post maybe. I confess, I voted for ‘Latin bit’ despite dodgy cover photograph and title – I love the ‘Blues for Juanita’ track. I also voted for ‘Live at the Lighthouse’ despite someone shouting ‘bravo’ virtually through the whole of the recording. I can’t possibly vote until ‘I Want To Hold Your Hand’ is included on the list. It’s one of my guilty pleasures and I can only imagine the reaction from John Lennon if he ever heard this version of the song. What we refer to, technically, as “a mistake”. Just added to the poll. Vote away! Another BN Ball Tearer, LJC. This has always been my favourite hard bop GG title [in the ‘ballad’ vein, I reckon its ‘Idle Moments’].